It’s undeniable: all Harry Potter fans secretly expect to receive their very own Hogwarts acceptance letter. Ready to be the next magical prodigy, we assume that we’ll hop onto the Hogwarts Express, promptly be sorted into Gryffindor, achieve straight O’s in our O.W.L.s, and inevitably end up as Minister for Magic. After all, like Albus Dumbledore, we are surely destined for magical greatness. Alas, when our letter-bearing owl rudely pulls a no-show, accepting one’s muggle status is a hard pill to swallow. But, as today is Magic Day, we’ve decided to temporarily shelve our disappointment, and pay tribute to our favourite Hogwarts hotspot. Undoubtedly, the unsung hero of the Harry Potter series, we’re referring to a place with more answers than Albus, better looks than Lockhart, and even more mystery than Mad-Eye Moody. It inspires Hermione to create S.P.E.W. The library provides Hermione with both the inspiration and information to establish the Society for the Promotion of Elfish Welfare, or as it is more commonly known, S.P.E.W. Dobby, Winky, and Kreacher, though prone to the occasional mood swing, are incredibly loyal magical creatures, and we would challenge anyone to look into their great orb-like eyes and not instantaneously become a campaigner for elfish rights. 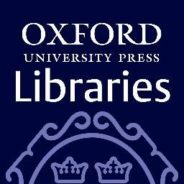 Here at Oxford University Press, we are all in agreement; had we not been born talentless muggles, we would don our S.P.E.W. badges with pride. Bodleian Library at the University of Oxford where the library scenes in the Harry Potter movies were filmed. Photo by DAVID ILIFF. CC-BY-SA 3.0 via Wikimedia Commons. It’s home to Madam Pince. No library is complete without its librarian, and one can’t help but admire Madam Pince and her sassy remarks. We particularly praise the vulture-like lady for calling Harry a ‘depraved boy’ on catching a glimpse of his maltreated copy of Advanced Potion-Making, which originally belonged to the Half-Blood Prince, Severus Snape. Bravo Madam Pince: we applaud your commitment to the preservation of books, and we personally hope you do find love with Argus Filch (that is, if you manage to sideline Mrs Norris). 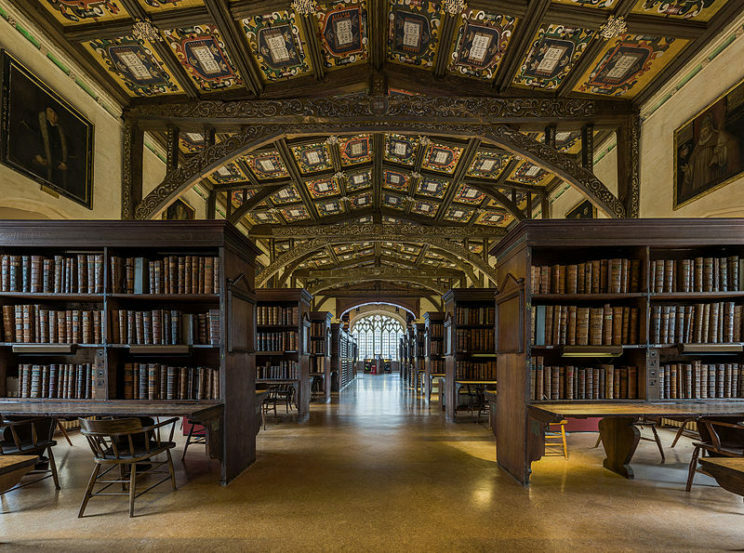 Home to thousands of ancient magical books, with breath-taking views over the Hogwarts grounds, the library is undeniably a picturesque place of study. We can’t imagine a more scenic spot to kick back with The Tales of Beedle the Bard, Fantastic Beasts and Where to Find Them, or, my personal favourite, Men Who Love Dragons Too Much. It’s a place of love. Harry Potter and the Goblet of Fire sees an unlikely romance blossom in the Hogwarts library, between bushy bookworm Hermione Granger, and big and brooding Viktor Krum. Whilst Harry and Ron are faced with rejection and embarrassment in their mission to find partners for the Yule Ball, Hermione effortlessly nabs a date with the world-famous Bulgarian Quidditch player, who visits the library on a daily basis just to pluck up the courage to talk to her. Move over Tinder, we’re heading to the library! Credit where credit is due: the Hogwarts library helps our favourite gang of Gryffindors time and time again in their battles against Voldemort. Cast your mind back to the Chamber of Secrets crisis. Harry only discovers the true form of Slytherin’s monster, and why only he can hear its whispers, on finding a page from a library book scrunched up in Hermione’s hand. Whilst we cannot condone such shameful brutalisation of books, we must admit that this information was helpful to the somewhat stumped Harry and Ron. 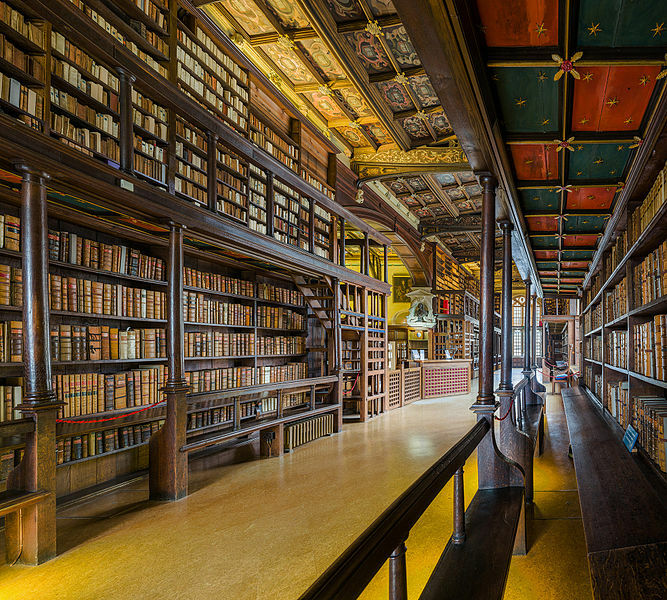 Bodleian Library. Photo by DAVID ILIFF. CC-BY-SA 3.0 via Wikimedia Commons. Though, deep down, we’re rooting for Harry to succeed in his endeavours, given his complete disregard for the rules, we can’t help but feel a certain amount of satisfaction when one of his plans goes awry. As far as we’re concerned, any young scallywag who presumes to enter the restricted section of the Hogwarts library in the dead of night, without even attaining a teacher’s note of approval, deserves to happen upon a screaming book. On this particular occasion, we commend the library for thwarting this little rascal’s rebellious plans. Featured Image: “hp7cover2” by Austen Squarepants. CC BY 2.0 via Flickr. Sally Bittiner is an aspiring witch and Hippogriff fan. She works as a marketing assistant for Oxford University Press.